As winter approaches, the need for proper bicycle fitting is still relevant for commuters, newer cyclists, those using cycling for fitness/cross-training, as well as competitive cyclists and triathletes. 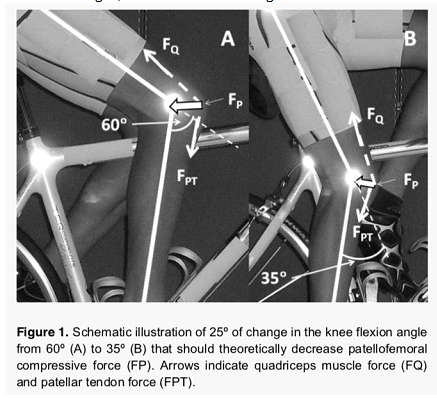 Poor bike fitting and technique can lead to symptoms associated with improper body mechanics, poor posture, and unnecessary joint forces, which can then lead to acute or chronic injuries. The use of indoor cycling equipment and cycling trainers also warrants proper fitting in order to avoid injury. Commonly affected areas of overuse stemming from improper bicycle fitting include knee joint, lower back, neck, and Achilles tendon (AKA heel cord). 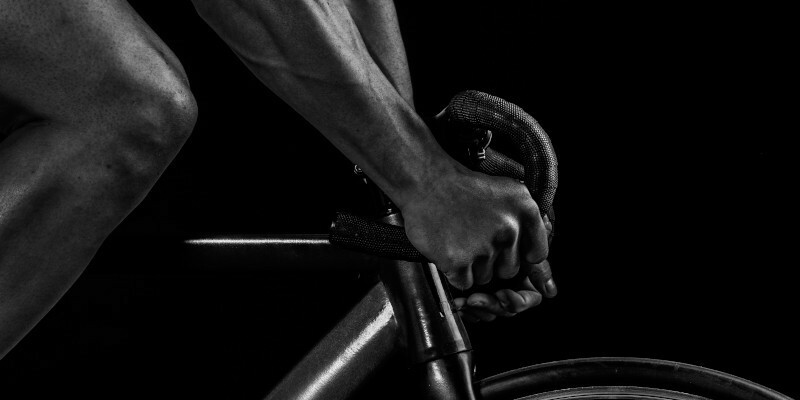 Additionally, the following are common diagnoses seen within the cycling community and are, more often than not, preventable issues that can be addressed with proper fitting and cycling form. A frame that is too large can result in improper posture, leading to lower back and neck pain, increased stress on the shoulders, and inappropriate pedal placement leading to increased pelvic motion and improper ankle, knee, and hip joint mechanics. A frame that is too small can cause a flexed trunk posture leading to lower back pain and can cause excessive flexion and stress on the ankle, knee, and hip joints. A saddle that is too high can cause overextension of the leg and often a culprit of the ITB rolling over the outside of the knee, causing sharp pain on the outside (lateral aspect) of the knee. 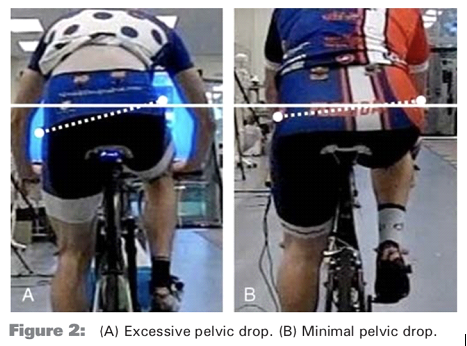 Excessive pelvic drop and motion (see Figure 2 below) is also associated with a saddle being too high. Low back pain can also occur with a high saddle position due to the rider being forced into trunk/torso flexion, causing additional stress on the spine. A less common pain associated with a saddle positioned too high is in the back of the knee due to use of irregular muscle patterns in the leg. Similar to the problems stemming from a small frame size, a saddle that is too low and/or too far forward can cause excessive flexion along the joints in the leg and especially causes undesirable stress at the knee joint. This is often a cause of anterior knee pain in cyclists. Inversely to the saddle being too high, if the saddle is too low, pelvic motion can be eliminated which is undesirable because pelvic motion transfers power from the upper torso to the legs. A saddle that is positioned too far forward or tilted upward may cause excessive pressure on the groin or saddle area which can very quickly cause pressure sores and skin irritation. Foot placement in which the ball of the foot is behind the axle of the pedal can result in increased use of calf musculature and can cause Achilles tendonitis. During a normal pedal rotation, your leg normally rotates internally. However, if there is too much rotation of the foot inward on the pedal, stress and pain on the outer (lateral aspect) of the knee may occur. Toes pointed outward on the pedal may cause stress on the structures on the inner (medial aspect) of the knee and thus can cause pain in that area. *Note: Use a bike trainer and platform, or have another person hold the bike, while you perform the following observational strategies. Also, analysis via video recording may be necessary in order to guide observations for bicycle adjustments. 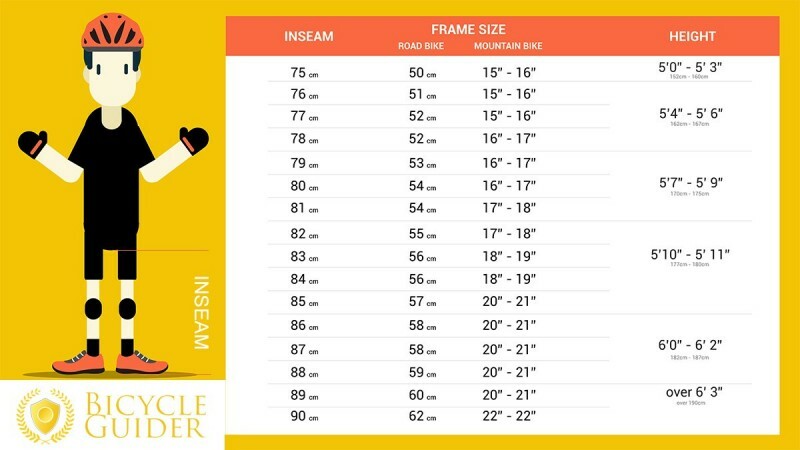 Basic guidelines for bicycle frame sizes are shown in the “Bicycle Guider” sizing chart below. As a disclaimer, this is not intended to be a true fitting guide due to the fact that true sizing will vary based on an individual’s body measurements and flexibility level. It is suggested and is typical that competitive cyclists should seek professional bike fitting services with purchase of every new bicycle in order to fit the cyclist’s specific race type and optimize performance requirements. With regards to Figure 1 below, which shows the position of the leg with the pedal crank at 3 o’ clock and 6 o’ clock, the angle of the knee should be bent ideally at 55-65 degrees and 25-35 degrees, respectively. If the angles are too large, increase the seat height accordingly. 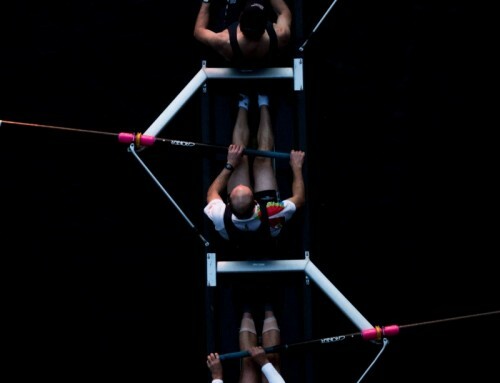 Inversely, if the angles are lower than these ranges, decrease the seat height. With regards to Figure 2 below, a saddle height that is too high can cause excessive pelvic drop. When adjusting your bike, feel or observe the amount of motion that occurs side to side from your pelvis. You want to minimize this motion, but not to completely eliminate it. To analyze this, sit upright on your bike and keep your hands on the large bony prominences on the outside of your hips to gauge the rise and drop on each side. Saddle weight distribution is ideally reflected in the image below. Your hips should be positioned so that they are at the area between the broad and narrow aspects of the saddle. Foot placement should be as follows: the axle of the pedal should be directly centered underneath the ball of your foot; toes should be pointed forward; and the inside part of your foot/shoe should be parallel with the bicycle frame. If you are purchasing a new bike, ask if a bike fitting is included within your purchase. Simple adjustments to the fit of your bike could prevent or reduce the risk of pain and injury. If you have experienced an injury from bicycling or are looking for a physical therapist in Queensbury NY or the Malta area, contact us or call 518-502-1154 (Queensbury) or 518-289-5242 (Malta). Ask us how we can help provide more information on bicycle injury prevention!